Our juniors enjoy learning the skills of navigation whilst having fun! We have a variety of abilities in the club, from walkers to runners, beginners to map experts! 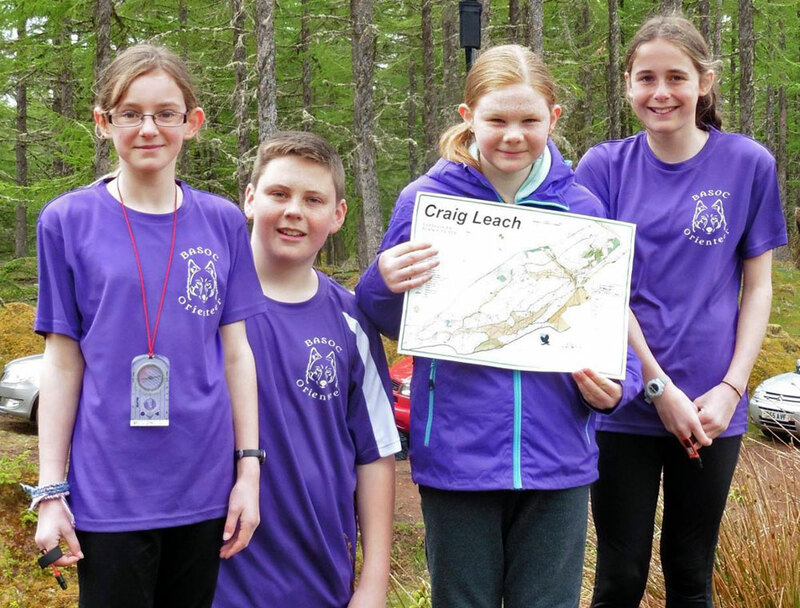 There are many opportunities for juniors within orienteering. This section of the website will keep you up to date on current junior news as well as being a place to come and find information about opportunities within and outwith the club activities. Juniors are always welcome on a Tuesday evening. During term time when there is day-o (light orienteering! ), there is coaching for juniors. Parents have to be there, but can go and have a go themselves! During the school holidays, Tuesday orienteering continues, but there is no specific coaching (plenty available for anyone to have a go though). During the winter and the Tuesday dark-o’s, juniors are welcome along, but remain the responsibility of their parents. The Northern Night Cup will have a course that is suitable for confident juniors. New for 2016, we will be hosting the Badenoch and Strathspey schools league. Keep an eye on this page for more details!